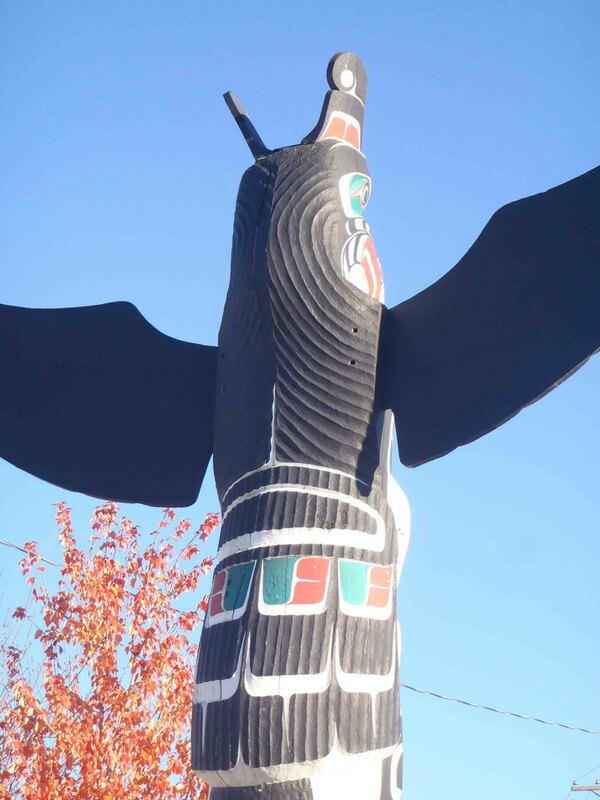 Sea and Sky totem pole, Government Street at Station Street, Duncan, B.C. 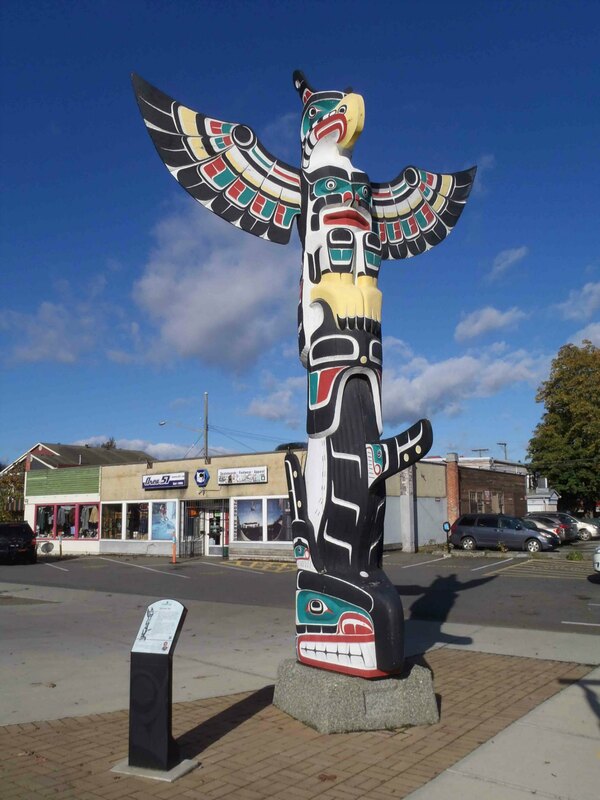 “The pole was done more as a symbol of British Columbia, as the figures represent sky and sea and were done in a balanced relation to one another. 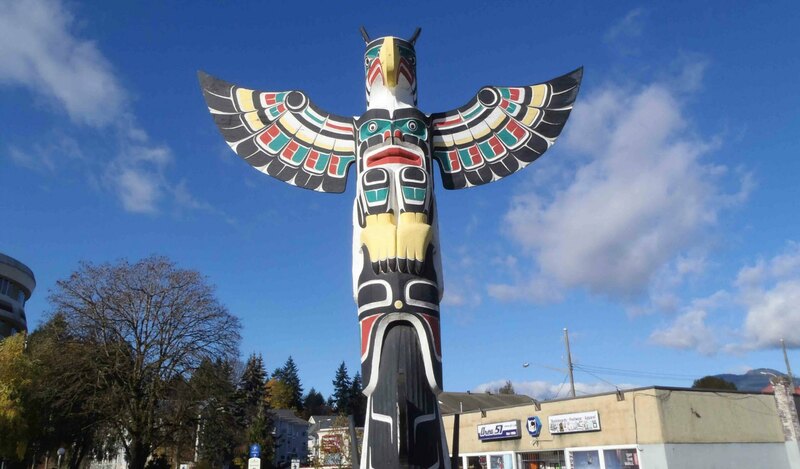 The powerful Thunderbird being a symbol of the supernatural and of strength with lightning and thunder as signs of his flight. 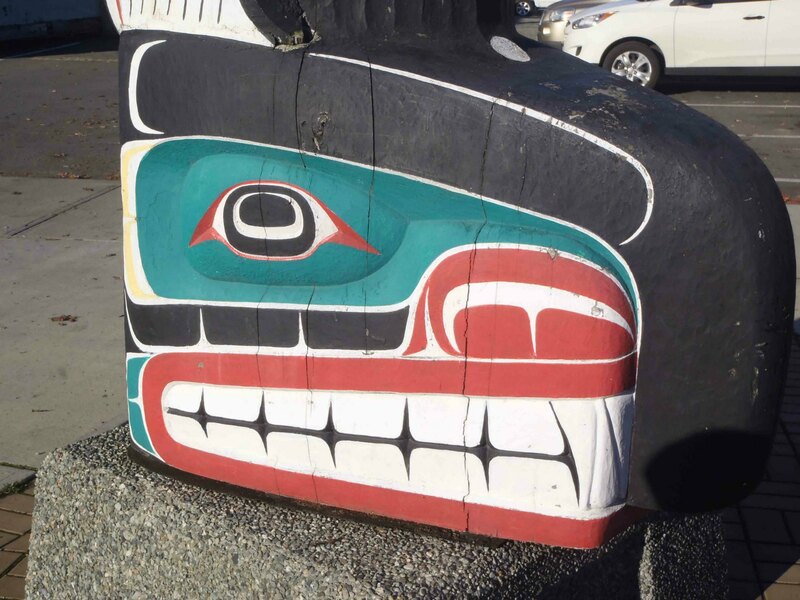 The Killer Whale is shown in its awesome form reflecting its natural presence. Sea and Sky pole. 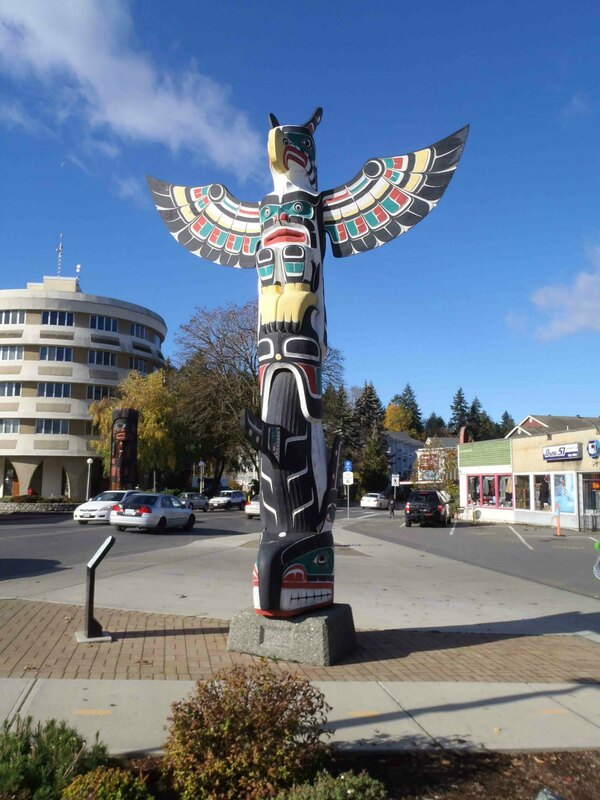 Thunderbird figure detail, Government Street at Station Street, Duncan, B.C. 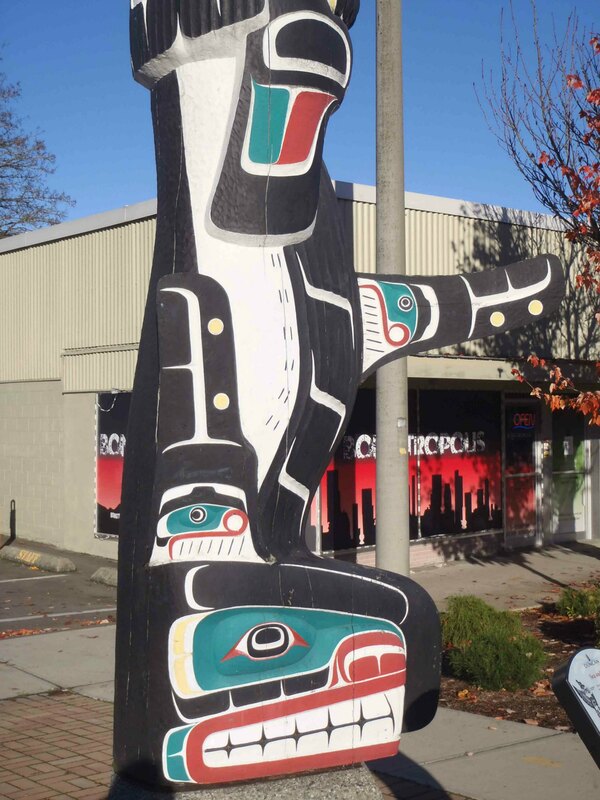 Sea and Sky pole, Killer Whale figure, Government Street at Station Street, Duncan, B.C. 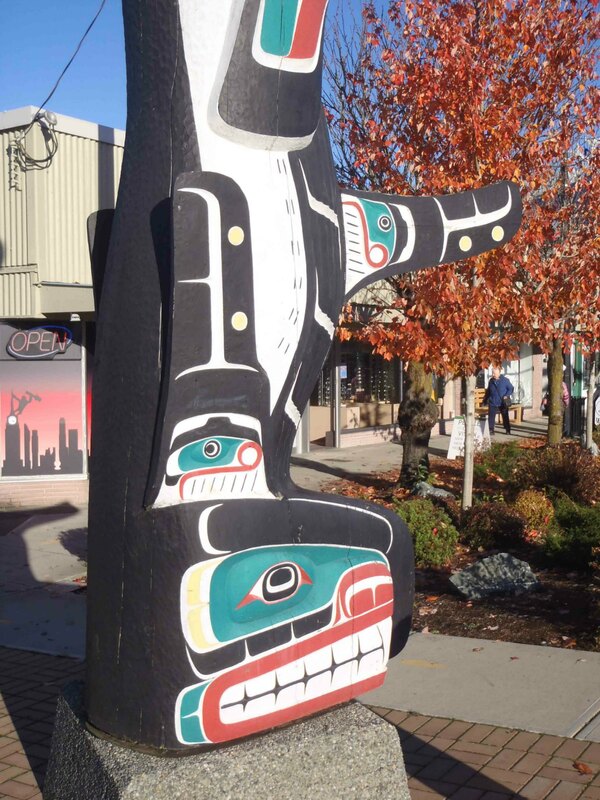 Sea and Sky pole, Killer Whale figure – dorsal fin detail, Government Street at Station Street, Duncan, B.C. 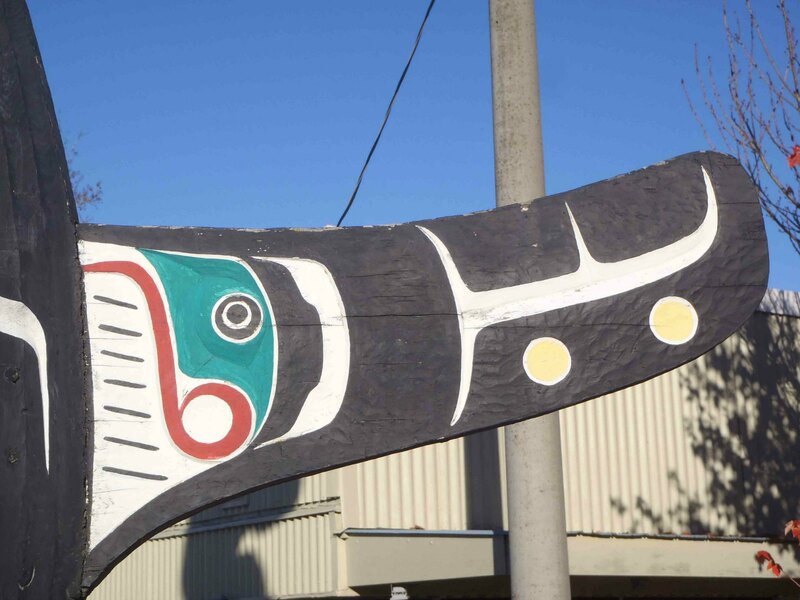 Sea and Sky pole, Killer Whale figure detail, Government Street at Station Street, Duncan, B.C.